Cassandra Fairbanks is best known as a political activist, journalist and social media star who radically switched her political stance. She is a staunch supporter of President Donald Trump of the United States of America and works as a reporter for Sputnik News, a Russian state-funded news agency. Starting from 2016, Cassandra gained popularity when she kicked off the campaign “find the dancing man” to organizing and reporting protests for anti-police brutality, “Black Lives Matter” as well as anti-immigration. Let us discover more about her life and career. Cassandra Fairbanks was born on 11th March 1985 in the US and grew up in a small town in Central Massachusetts in Boston. Presently, she resides with her daughter in Silver Springs, Maryland. However, Cassandra is yet to disclose any information about her parents, siblings, and spouse. She justifies the evasiveness on providing details about her family and childhood stating that she intends to shield her family from online trolls and psychopaths. It is still unknown where Cassandra completed her education, though she was admitted into the University of Massachusetts at Amherst to study Physics before dropping out. She also attended the Los Angeles Recording School and proceeded to become a sound engineer for bands in the Warp Tour Vein. Cassandra progressed to activism doing a stint and protesting at SeaWorld and circuses. She became active on social media and signed up with Twitter to follow-up with the news when WikiLeaks dropped documents from former Army intelligence analyst, Chelsea Manning who leaked classified national security information. She worked for almost a year as a writer for the Free Thought Project where the majority of her writing cataloged police brutality. With time, Cassandra embraced the power of social media and became increasingly active on her Twitter account. Cassandra became famous from 2016 when she created a campaign “Find the dancing man”. The campaign was initiated after pictures of an overweight man, Sean O’Brien was posted on the internet and he was as a result body-shamed online. Cassandra kicked off the campaign online to search for the dancing man which spread like wildfire across the internet and within 24 hours Sean O’Brien was found. She invited O’Brien to the US where she hosted him to a party and both of them went on to be featured on the Today show. She had about 30,000 additional followers on Twitter after the online campaign. Cassandra Fairbanks had always been fascinated by politics since childhood. One time in second grade, her class had a mock election and according to her, she was so absorbed in it. She was distinguished for her liberal campaigns and was known to post pictures and videos of protests against police brutality on her personal Twitter page and this caught the attention of the editor of a Russian-owned news site – Sputnik International. She was a strong supporter of socialist Bernie Sanders who was Hillary Clinton’s rival within the Democratic Party at the time and stopped at nothing in promoting him while on the other hand, she posted derogatory tweets about Donald Trump. Cassandra made headlines in 2016 when she shifted political allegiance from left to right. Her support with the Democrats began to chip away as Hillary Clinton progressed towards being nominated as candidate and the final straw that saw her shifting political stance was the mass shooting in June at a nightclub in Orlando which made her begin to take a cursory look at Trump and people who had been advocating censorship on the left. In June 2016; she made public her support for Trump by posting a video in which she stated her views. There were opinions that her political transformation was fuelled by her employer, Sputnik. There exists no clear record of Cassandra relationship status as she has not disclosed any information as regards her spouse. At one time, it was news that she was married to Julian Assange but she debunked the claim. However, she has a daughter named Rory. · She appeared on television documentary series such as Black and Blue, and Panorama both in 2016. 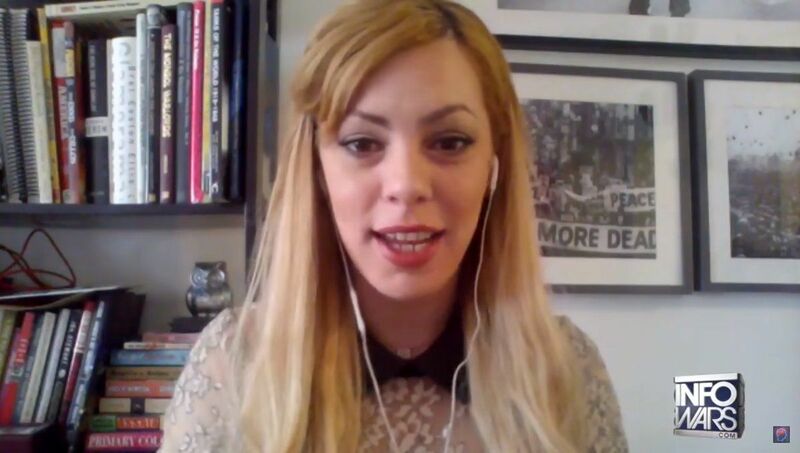 · Cassandra Fairbanks has written for major news networks in the United States such as Teen Vogue, We Are Change, Free Thought, Sputnik News, among others. · On 1 June 2017, she filed a lawsuit against journalist Emma Roller for character defamation when the latter implied that Cassandra was a white supremacist.